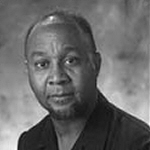 Douglas Henry Daniels is a Professor in the Departments of Black Studies and History, and former Chair of Black Studies as well as Asian American Studies at the University of California, Santa Barbara. He received his BA in Political Science from the University of Chicago and an M.A. and Ph. D. in History from the University of California, Berkeley. Professor Daniels' book publications include: Lester Leaps In: The Life and Times of Lester "Pres" Young (Boston: Beacon Press, 2002) Pioneer Urbanites: A Social and Cultural History of Black San Francisco (Berkeley: University of California Press, 1991); Charlemagne Péralte and the First American Occupation of Haiti (translation from French to English of George Michel, Charlemagne Péralte: Un Centenaire, 1885-1995 (Port-au-Prince, Haiti, 1987) (Dubuque, Iowa: Kendall Hunt, 1996); and One O'clock Jump: The Unforgettable History of the Oklahoma City Blue Devils (Boston: Beacon Press, 2005). Other research interests include African popular music and the use of oral history and photography in the study of culture.